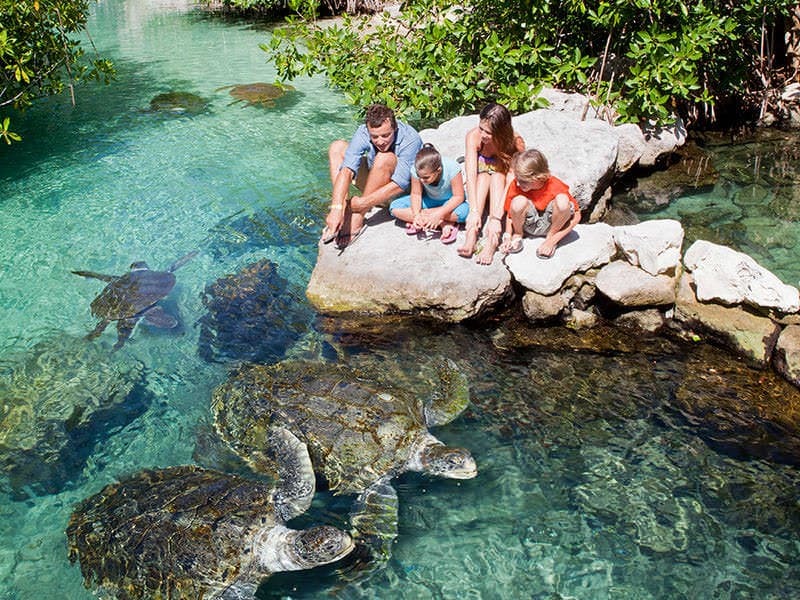 Discover two worlds filled with fun and nature; Xcaret and Xel-Há are the perfect combination of fun, nature and entertainment for everyone. 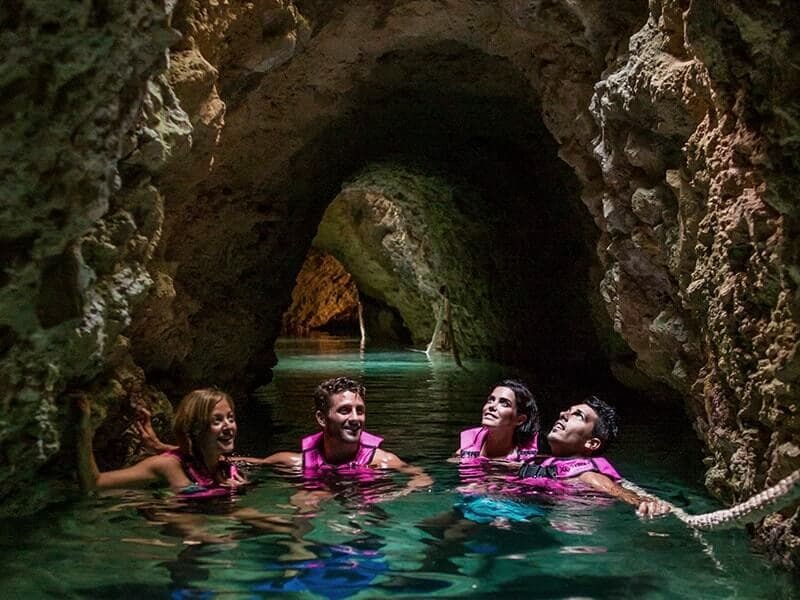 Xel-Há is a natural paradise and perfect for unlimited snorkeling. Walk through any of the trails and see all the inhabitants of Xel-Há Park: coatis, tropical birds, raccoons, and many more. 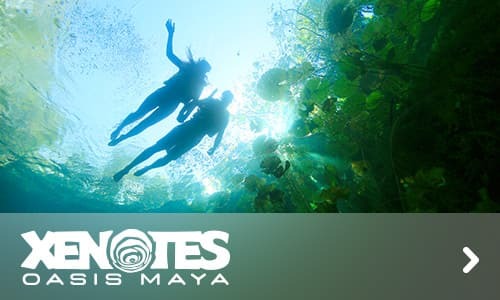 Explore all its natural cenotes and coves and don't miss the opportunity to have fun at any of the aquatic zip-lines or proving you are brave enough to jump from the Cliff of Courage. 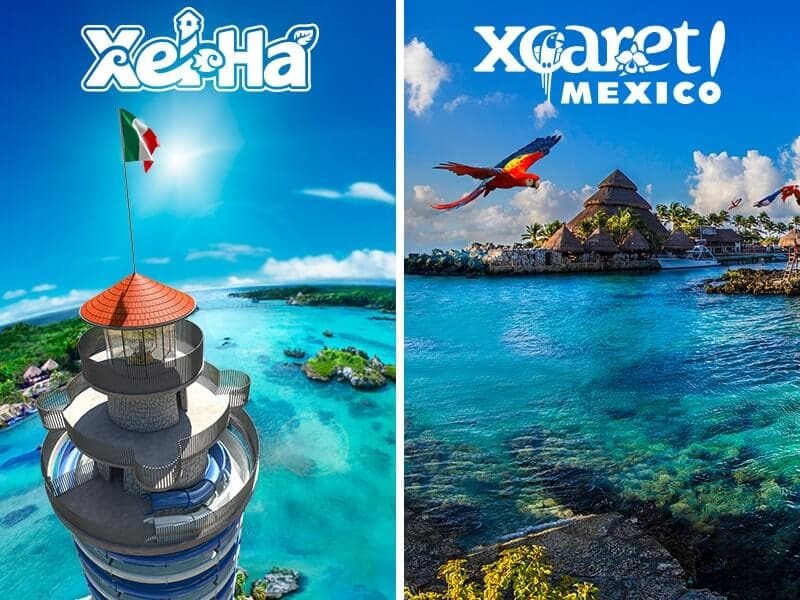 With the All Inclusive Xel-Há admission, you will be able to enjoy a delicious Continental breakfast, buffet lunch, delicious snacks and unlimited beverages at any of our restaurants or bars. 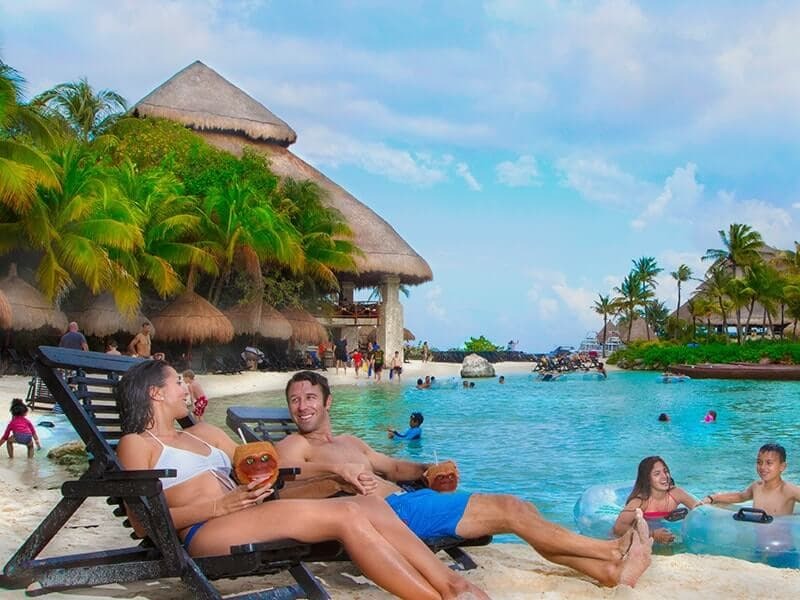 The perfect mix for your holidays will definitely be Xcaret; so much to see and discover: traditional Mexican food, Pre-hispanic Dances and performances, nature, music and handmade crafts. 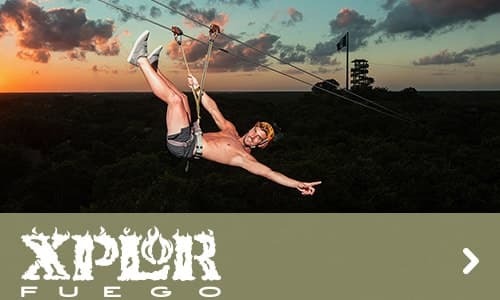 You can enjoy the Ball Game, an ancient game the Mayas used to practice or watch the Voladores of Papantla; take a walk by the Mexican Cemetery or admire the jungle from the top of the Scenic Tower. Just by the end of the day, enjoy an incredible show with 'Xcaret México Espectacular' which will take you on a journey through the history of Mexico with more than 300 actors on stage. Enjoy two parks full of fun, culture and adventure! 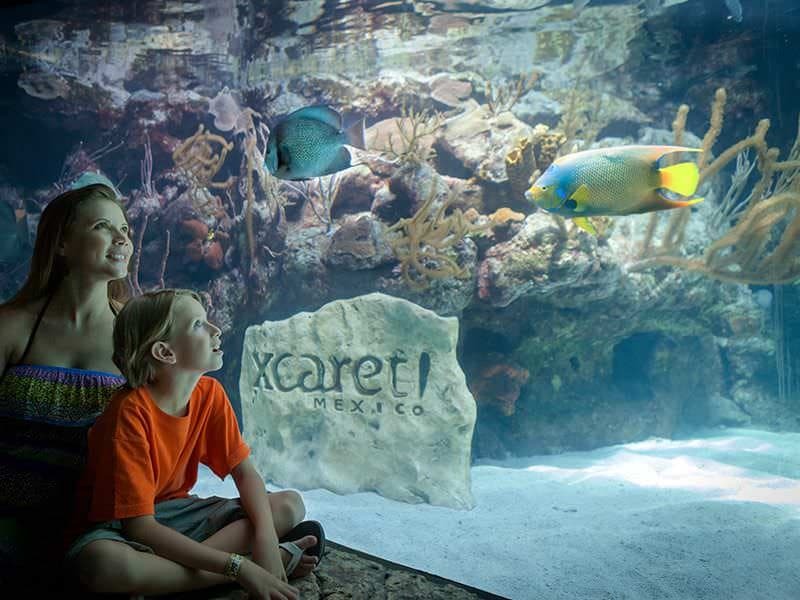 Xcaret is open from 8:30 a.m. to 10:30 p.m. all year long. You can take the snorkel gear at any of the five modules by scanning your bracelet. When you finish using it, you must return it to the same module where you took it, to unlock your bracelet. Snorkeling equipment rental costs $10 USD (requires a refundable deposit of $20 USD).